Sunshine and long days on the beach are coming back! As summer approaches every woman scrambles to experiment with new brands to achieve that smooth, glowing, wrinkle free look. Dewy, moisturized skin is essential while laying out at the beach or running around the city. 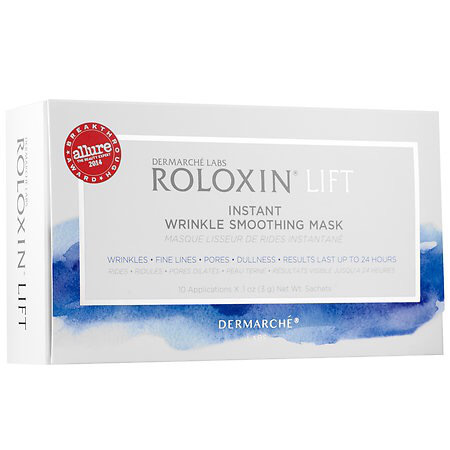 There are so many products and regimes out there that claim to give fast results but to avoid having a mental breakdown in the skin care aisle our experts at MyTopFace take a look at a couple new products: Dermarche Labs presents: Roloxin Skin Smooth Mask and FullFill filler. 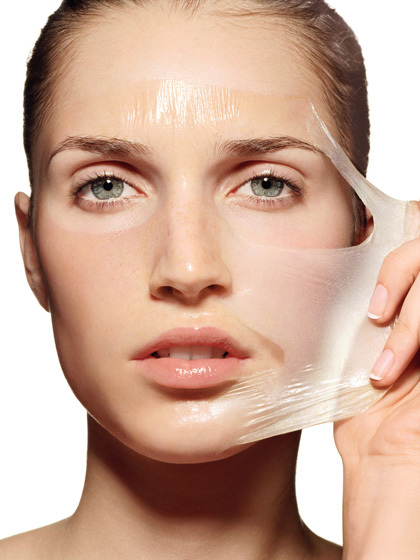 Even if you don’t have wrinkles it is a girl thing to experiment with new skin care products. Dermarche Labs, a brand with a reputation of producing scientifically proven skin care products created a Skin Smooth Mask. We’ve all heard the science behind products but who knows if it actually works? Some reviews from real people give us hope! Not to mention being awarded as Allure’s Beauty Breakthrough Product. Ladies, If Allure likes it then you are surely to like it! So how does this product work: hydrophilic and hydrophobic silica particles that are deposited on the skin during the 7-minute treatment. The simplicity of the product makes it easy to use whether you are on the road or at home. In other words, so you don’t have to google hydrophilic, it actually makes a difference to your skins appearance leaving it moisturized and refreshed. With 30 individual sachets you can throw it in your travel bag or leave it at your boyfriends place for a mid week pick me up. Apply for 20 seconds on the face then wash away. The key to Roloxin’s mask is that it magically dries skin to instantly create a bright, smooth, luminous appearance – with full results visible after just one treatment. Vitamin E and Aloe Vera are also key ingredients that help prevent water loss from the skin, and helps it to retain its natural moisture. Thus, it makes dull, dry skin look healthy and well-moisturized. If this doesn’t lift your spirits to giving Roloxin a try then the 100% positive feedback from users should motivate you to run to the nearest Sephora and purchase your mask. If one product doesn’t do the trick for you, Roloxin also produced FullFill a pain free wrinkle filler. Yes, I said, “pain free.” Reviews boast that after 2 weeks there was a significant reduction in forehead and crows feet wrinkles. No needles needed! The use of hyaluronic acid treatment binds moisture to your skin to instantly relieve dryness and over time soften the appearance of lines. Simply apply a small amount morning and night, alone or under makeup. How perfect is this you can wear it anytime. Nothing better than an easy application process. Skin care ingredients come and go, but hyaluronic acid is one whose fame is well-earned. It offers multiple benefits for any skin type and comes packed with anti-aging properties. 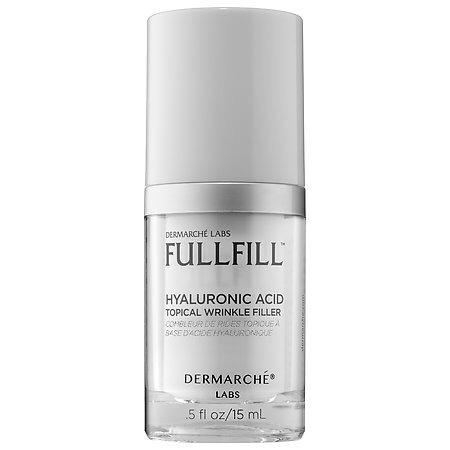 So why is hyaluronic acid such a big deal? One gram of hyaluronic acid is able to hold up to six liters of water! No more chugging water to plump up the face it is all in a product. After great lengths of research Roloxin Skin Smooth Mask and FullFill Wrinkle a Filler are both ideal products to reduce the appearance of fine lines and wrinkles. MyTopFace experts give these products a thumbs up and recommend to anyone searching for a moisture boost and wrinkle reducer! Give the product time and stop jumping to conclusions. The general rule is to use something for at least one month. Be patient girls and enjoy trying a new recommended product! Previous articleThe First Manicure Kiosk has Launched – FingerNails2Go is here!